Two things were likely in establishing any 19th century community in the United States, regardless of its “frontier” status: a) provision would have been made for the dead, even before there was comparable concession for the sick and dying; and b) the furniture emporium very likely served as the mortuary, since coffins were essentially large pieces of furniture. Embalming techniques had improved only slightly since the Egyptians prepared pharaoh for his journey to the Fields of Bullrushes, but in the 1920s it was still hit and miss when the greater good of International Communism was served by the preservation of V.I. Lenin’s body; Lenin’s Embalmers by Ilya Zbarsky told me more about the politics of that event than the science of embalming. 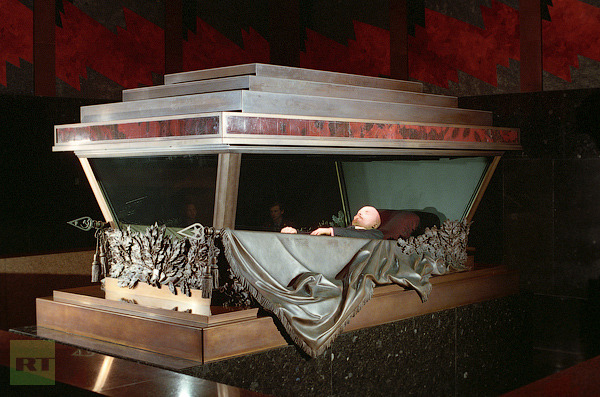 Meanwhile, Pope John XXIII is nicely displayed in a glass coffin at St Peter’s. And Ferdinand Marcos has his shirts changed each day for those who’d like to stop by to pay their respects. I’d like to know more about the state-of-the-art in the 1850s. Moses Hemphill had come to Agincourt about 1870, opened a furniture emporium and served as the community’s mortician until 1898 when the business passed to his son-in-law Jeremiah Folsom. Preservation for two or three days of wake and funeral were all that Moses could muster for his clients, however, before decay presented itself to both the eye and the nose, making August the worst month to die. In earlier years, quick dispatch was a courtesy for the living and the recently departed. 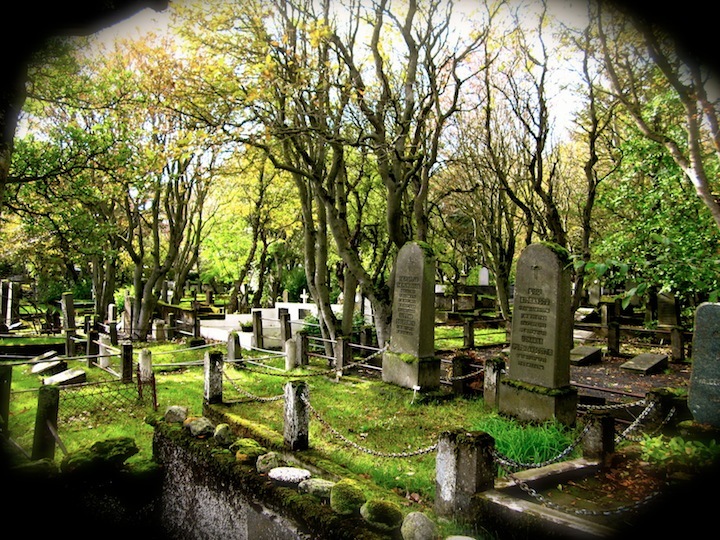 So, for this and other reasons, cemeteries were located outside city limits, a safe distance to spare the living from the air of death as well as the potential for disease. Ours were situated just outside the city limits where Agincourt Avenue—actually its one-lane two-rut extension—crossed the eastern line of the original townsite. I say “ours” because there were two initial burial grounds: St Ahab’s for Roman Catholics and The Shades for Protestants and persons of less rigorous religiosity. The history of those two institutions hasn’t been written, nor for the Hebrew Burial Ground that joined it soon after. Palmer’s Nursery was also part of the cluster. And in recent years provision was also made for the interment of Muslims when refugees from Somalia and Darfur came to work at the Fennimore Farms packing plant. Add the several rural churchyards and other burial spots [see “Cemeteries and Burial Grounds” in the Gazetteer] and Fennimore county’s dead have been well provided. None of this resolves the design history of The Shades, however, which, given my recent visits to Pere Lachaise and three of the British WWI burial grounds in northern France, is high on my wish list. By agincourtiowa in Uncategorized on Monday/21/April/2014 .